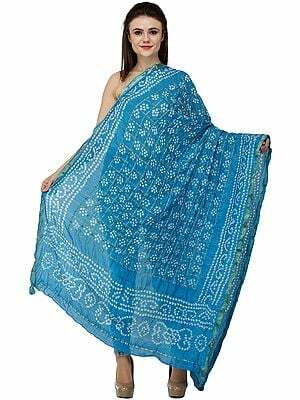 This is destined to become on of your statement dupattas. 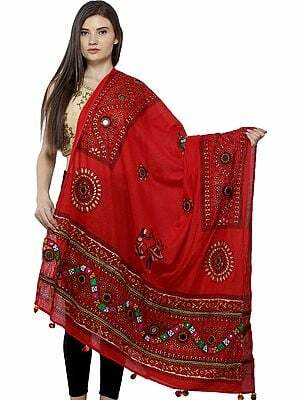 Gharchola fashion was originally meant for brides to wear around the house while dispensing their new world of duties, and in this day the same is characterised by a folk glamour that women could wear every day. 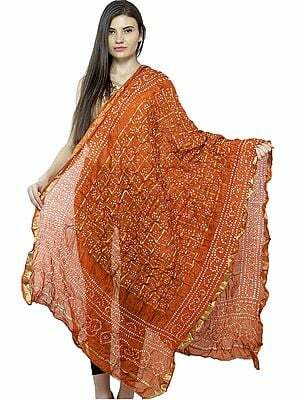 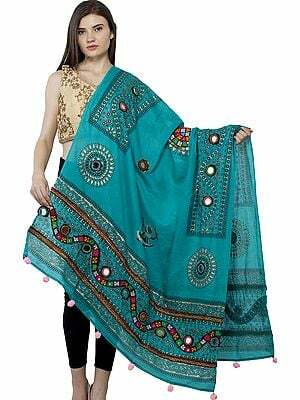 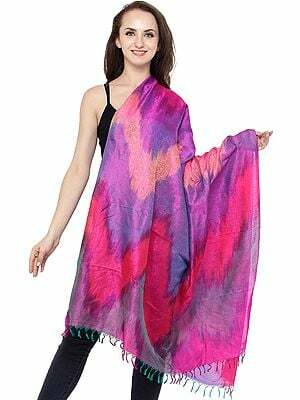 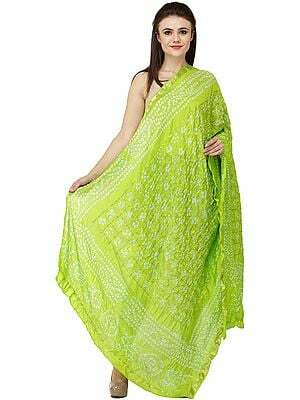 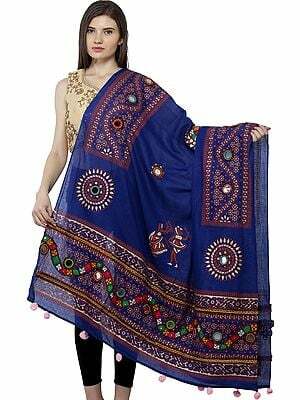 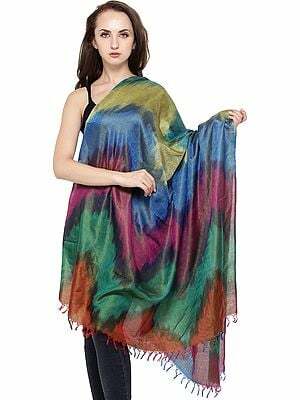 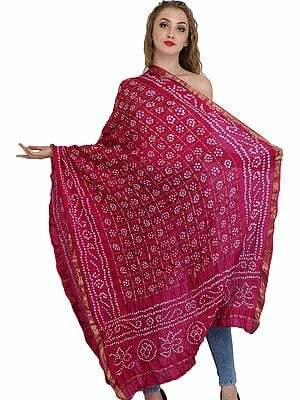 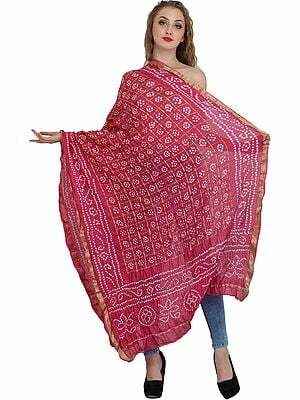 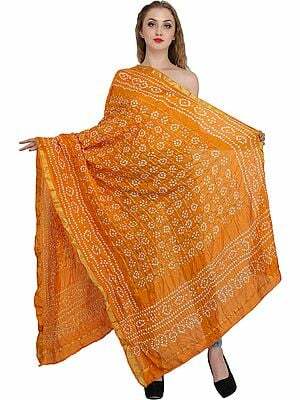 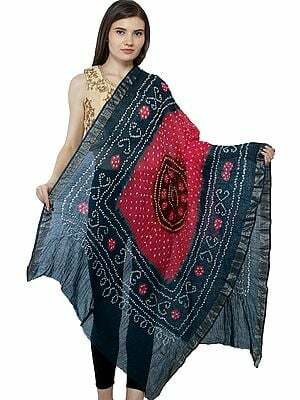 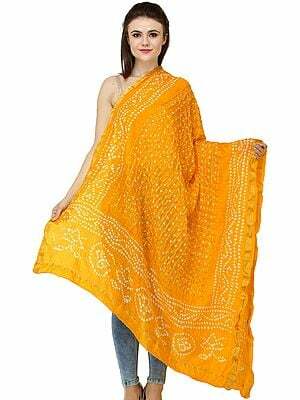 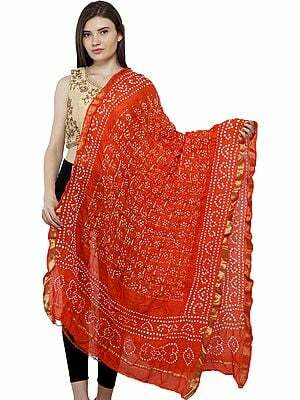 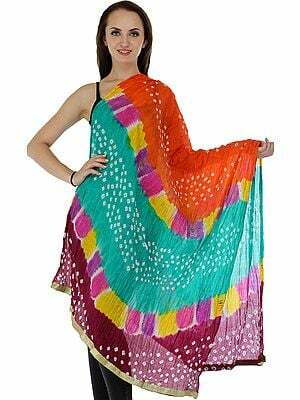 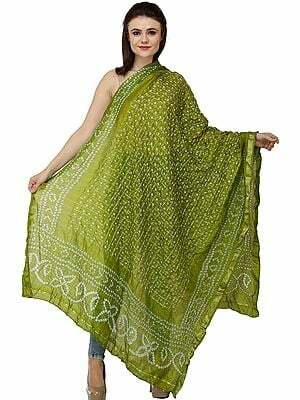 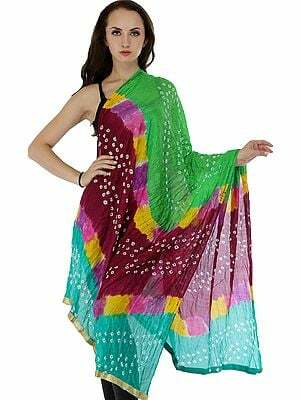 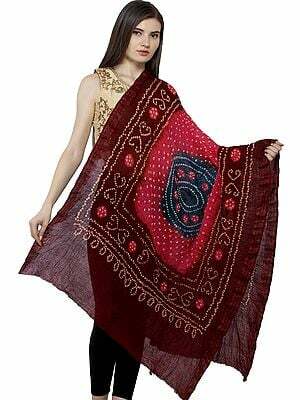 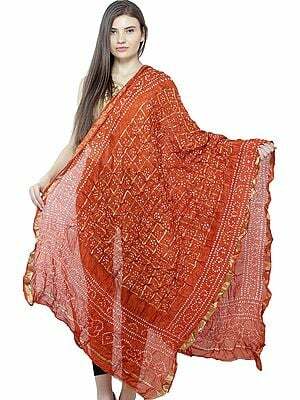 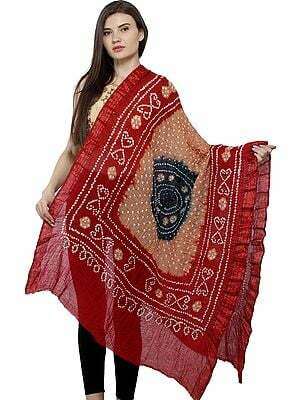 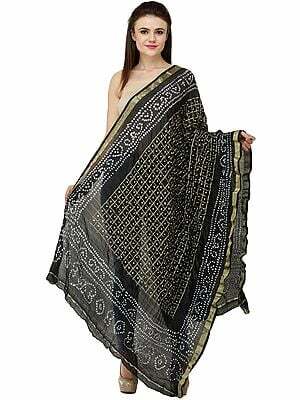 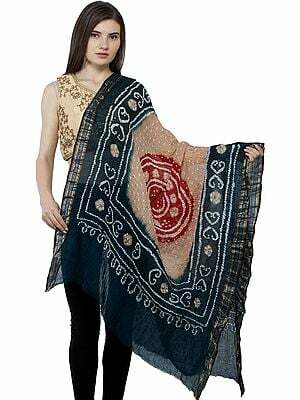 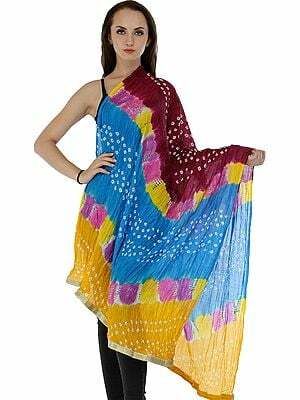 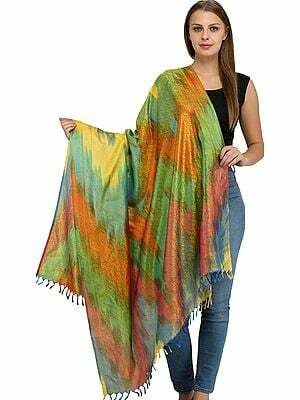 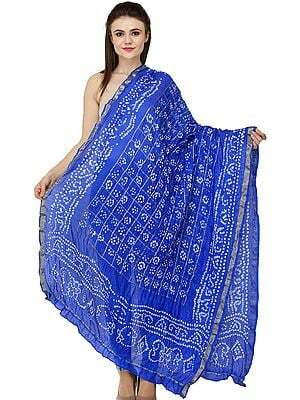 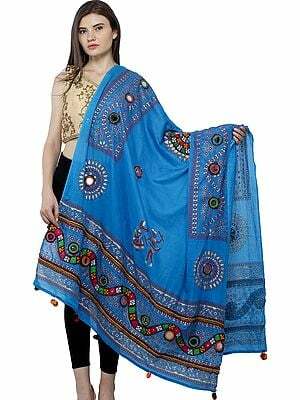 A plethora of folk motifs have been woven in tie-dye style across this luscious dupatta, the one-of-a-kind zariworked weave of the border seemingly holding them in. 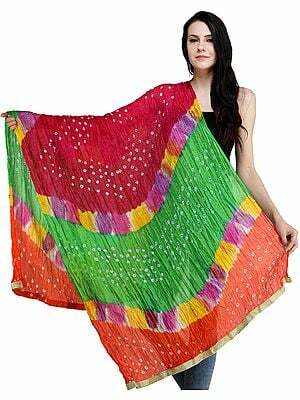 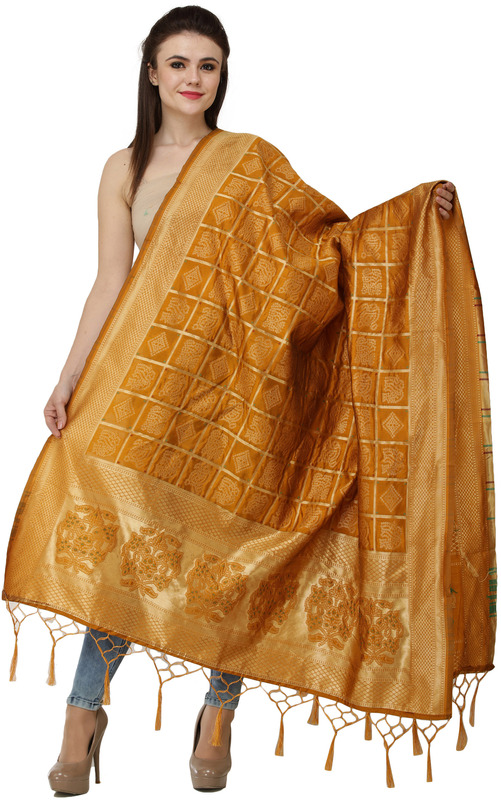 This silken dupatta comes in a variety of statement colours, each of which would look great thrown over netrual-coloured suits.